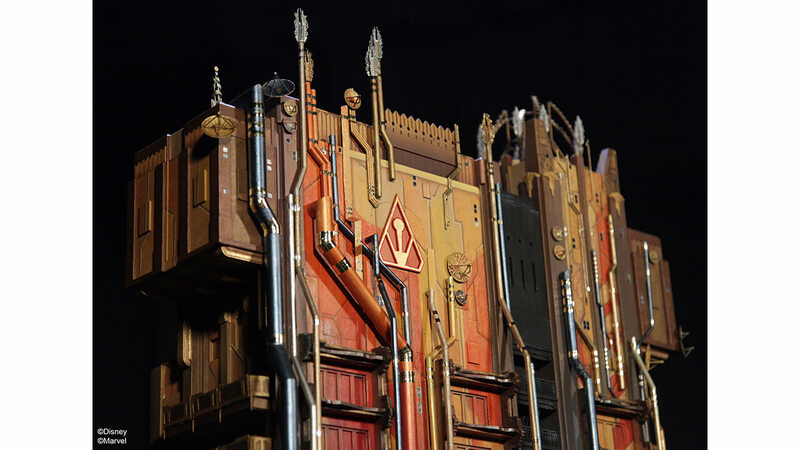 It’s still the subject of a lot of controversy among Disney theme park fans, but the transformation of Disney California Adventure’s Twilight Zone Tower of Terror to the new Guardians of the Galaxy – Mission: Breakout! 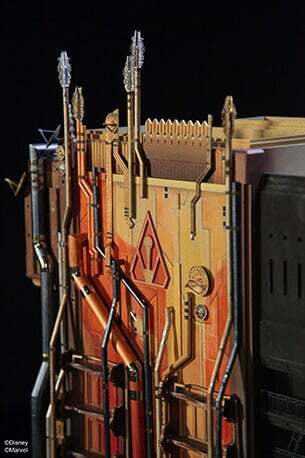 attraction is already underway, with many features of the Hollywood Tower Hotel (including its famous sign) now missing from the ride’s facade. 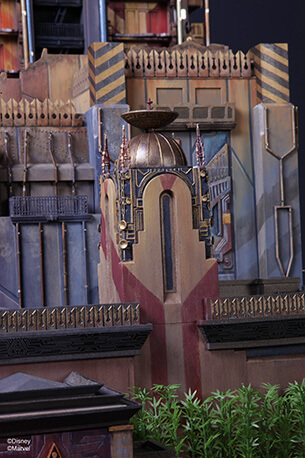 Disney is getting a head start on the hotel’s conversion into the Collector’s Fortress from Marvel’s “Guardians of the Galaxy” series, and today the Disney Parks Blog offered a closer look at the scale model used to design the new futuristic look for the tallest building at Disneyland’s sister park. Whether you’re happy about it or not, The Twilight Zone Tower of Terror only has a few months left in operation, and it seems as though the exterior of the ride may be completely unrecognizable by the time January rolls around. All images Copyright 2016 Disney. Looks great. They are already putting up the scaffolding to begin the painting. No opening to see the outside scenic view. Now, let’s just hope ahead of time that Guardians of the Galaxy 2 doesn’t flop like the other Marvel sequels (except Cap). This will be an eyesore across the park for decades to come. When I saw the model for what the building is going to look like, my jaw literally dropped and I was just in awe of the design. Honestly, I dig it a lot because it genuinely feels like it can be from another world yet fit into the MCU in a way. 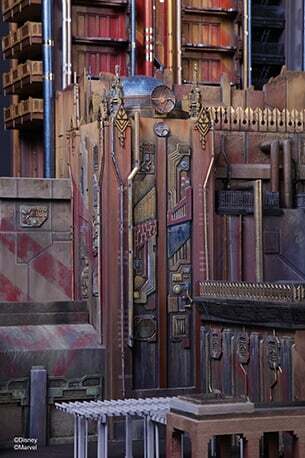 I don’t know about you guys, but I cannot wait to see this design put onto the actual building. I like it. And like I said before, a) Twilight Zone, for all us older folks still love it, isn’t terribly relevant to anyone under 20 except in a sort of abstracty-meme fashion (ask them if they’ve even ever watched anything in black and white, much less the show…) and b) at least it’s the one in CA, which was always the shamefully truncated version of the ride. The full one, with it’s great pre-show, is still going in Florida after all.